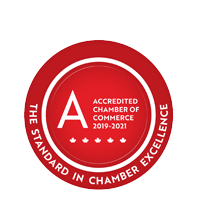 Lassam & Co. Chartered Professional Accountant | Accountants - Chartered | Accountants - Chartered Professional | Tax Services - Business Directory - St. Thomas & District Chamber of Commerce - ON, ON ? Standard Hours are 9 - 5 Monday to Friday but after hours and weekend appointments may be arranged. Lassam & Co. Chartered Professional Accountant offers a full range of public accounting services including auditing, accounting and taxation services. Their knowledgeable, friendly staff have the experience, training and skills to help you with all of your accounting and taxation needs. Their commitment to excellence is demonstrated in the high level of quality service that you will experience each and every time you make contact. Lassam & Co. will exceed your expectations!